Now I know you may be thinking stew? Really? It’s summer outside, and not only is it super-hot out, you want me to heat up the house too? Well, first, who cares what the weather outside is doing? You don’t normally eat outside in the summer heat do you? Not unless you love melting. Secondly the soup is made in the crockpot so it’s perfect for summer! No house heating going on, and by being in the ole crockpot that means you get to enjoy your time outside and not have to worry about what’s cooking! 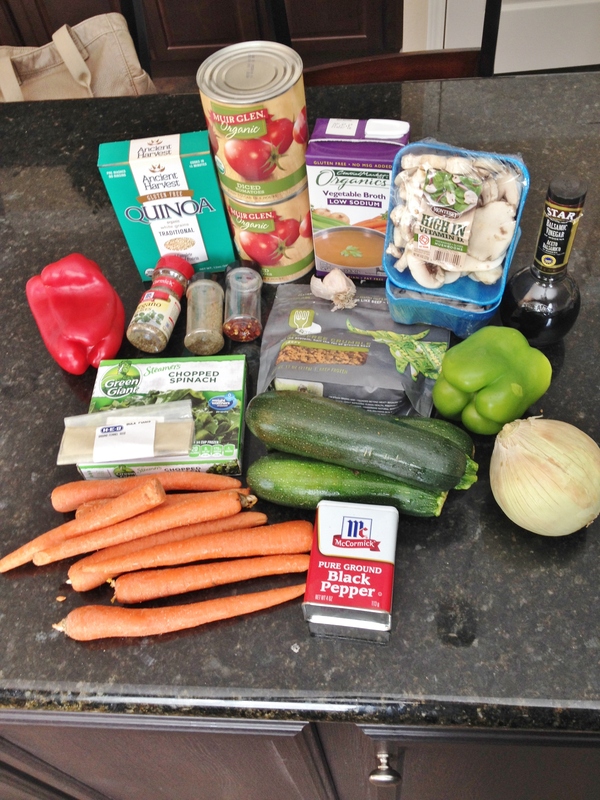 Here is my vegan and gluten-free Crockpot Lasagna Stew. I love soups and stews no matter what time of year it is. Making them yourself ensures they are healthy, salt free, flavored right, no weird ingredients, and super-low in calories. That is the best part – low in calories. 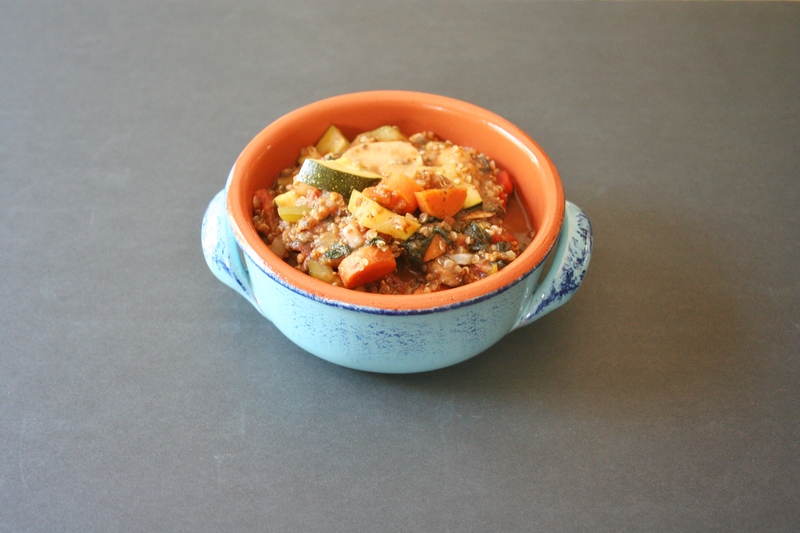 Low-cal means you can eat more and get stuffed on an awesome veg soup and not feel guilty. Which is what I feel when I overeat – grossed out and guilty. In comes an awesome stew. 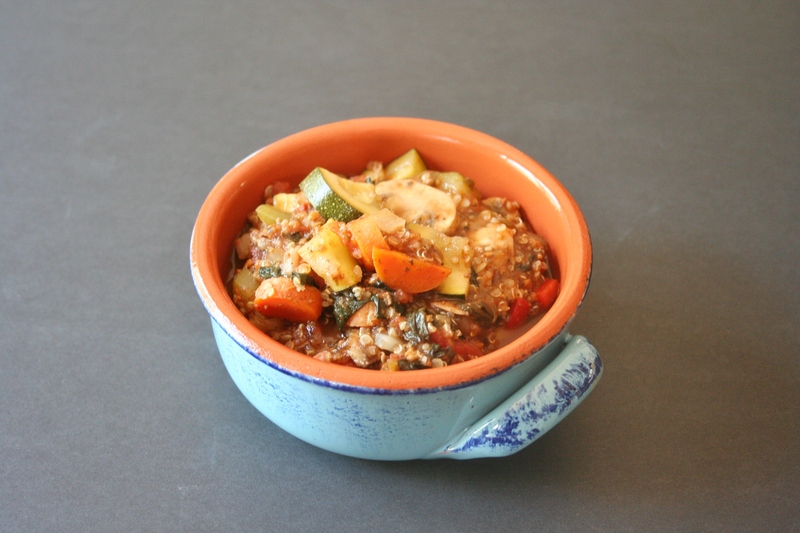 This stew is flavored like a lasagna – lots of Italian seasoning plus extra oregano and lots of veggies. Lasanga’s normally have tons of noodles and cheeses, but not this one. 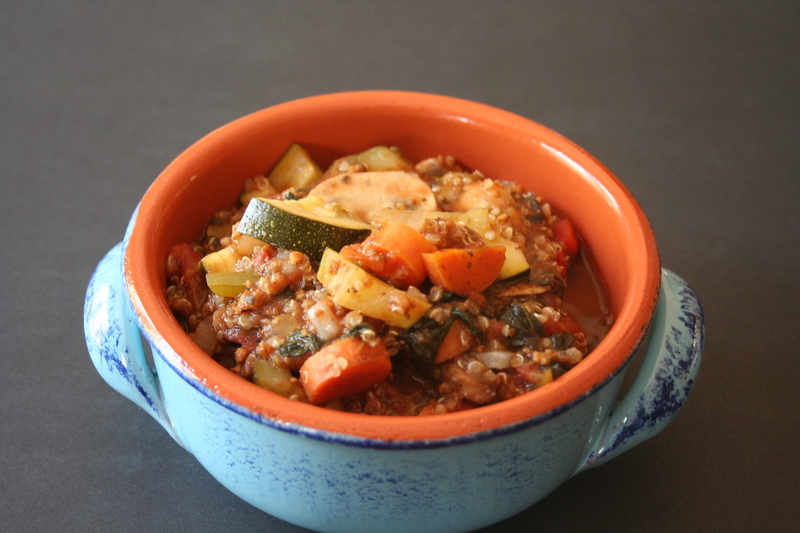 No cheese or noodles, I used quinoa instead to add a healthy bulk to it. 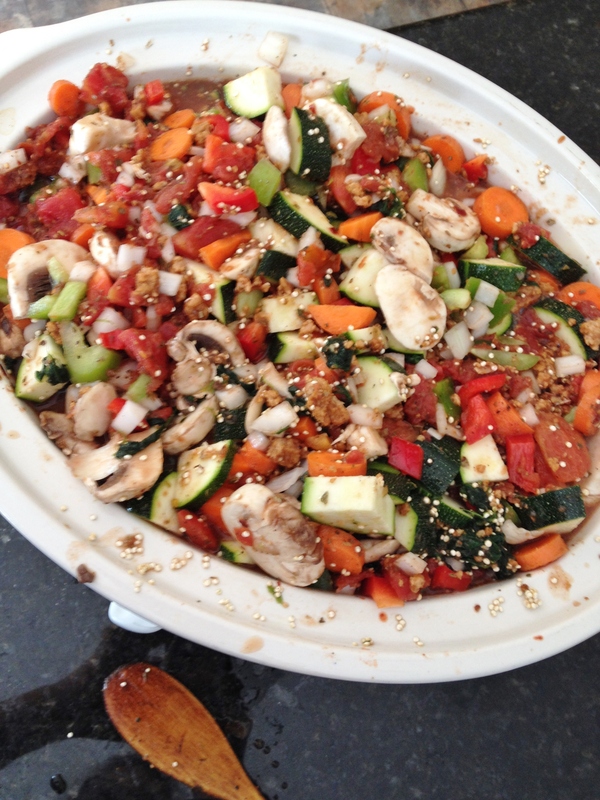 The veggies are all things I would stick in a normal lasagna – onion, peppers, zucchini, carrots, and tons of mushrooms. 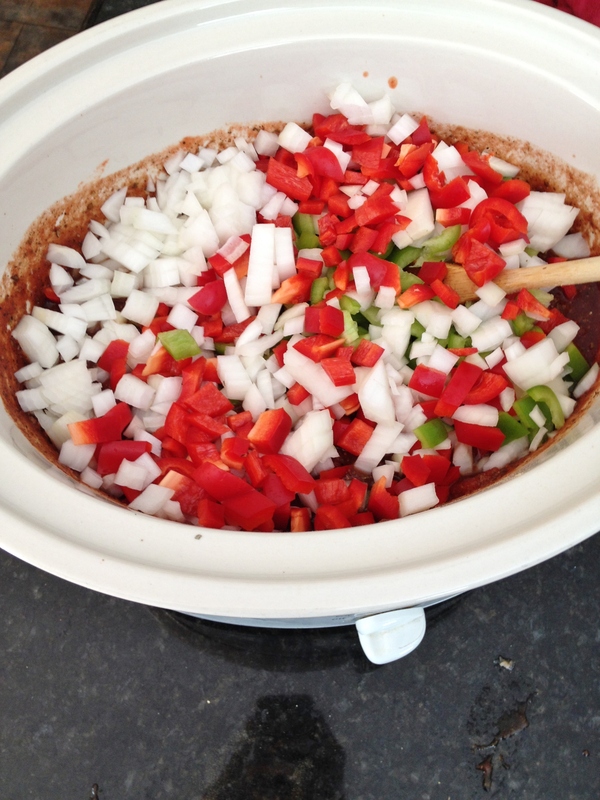 Plug in and turn the crockpot to high before getting everything together so it starts heating. 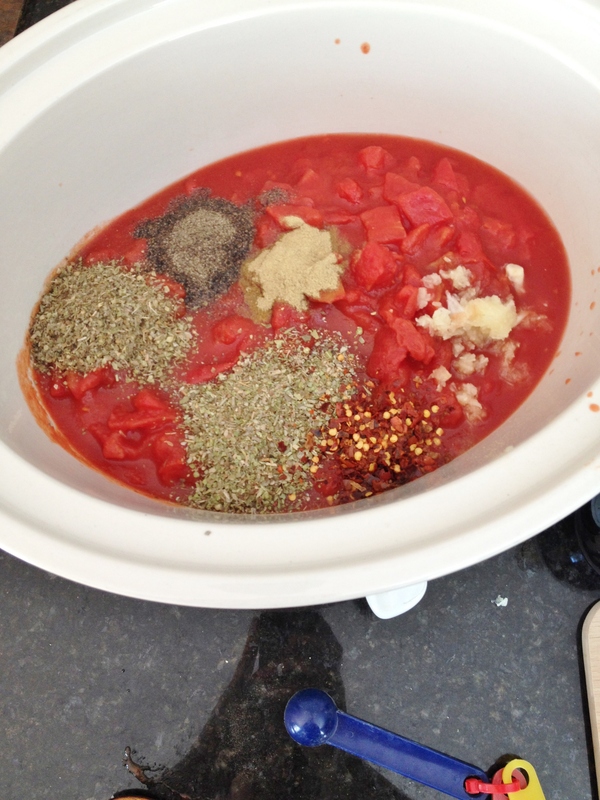 Pour in the tomatoes and 1/2 the veg stock along with your seasonings, minced garlic and balsamic vinegar and stir. Put the lid on so it starts getting incorporated. Keep the lid on the pot while you slice up all the veggies. 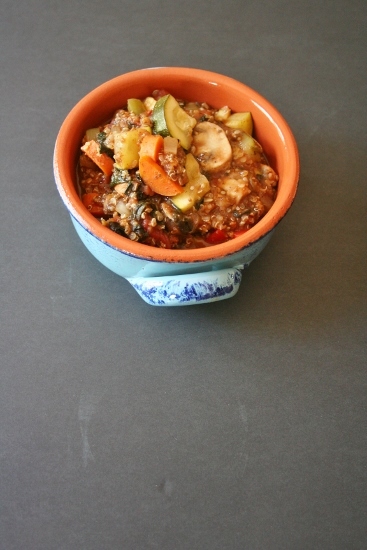 Slice veggies and dump in and mix as you finish each. 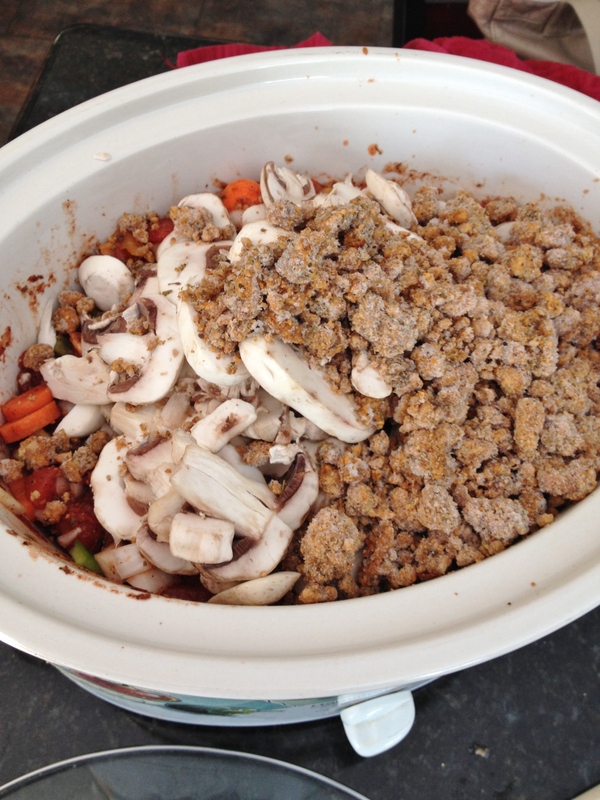 Add the beefless crumbles, quinoa and defrosted spinach into the crockpot and mix it all up and put the lid back on and let it go. Stir occasionally until the soup is done. Yum! 1. Plug in and turn on crockpot to high and keep lid on. 2. Get all ingredients layed out. 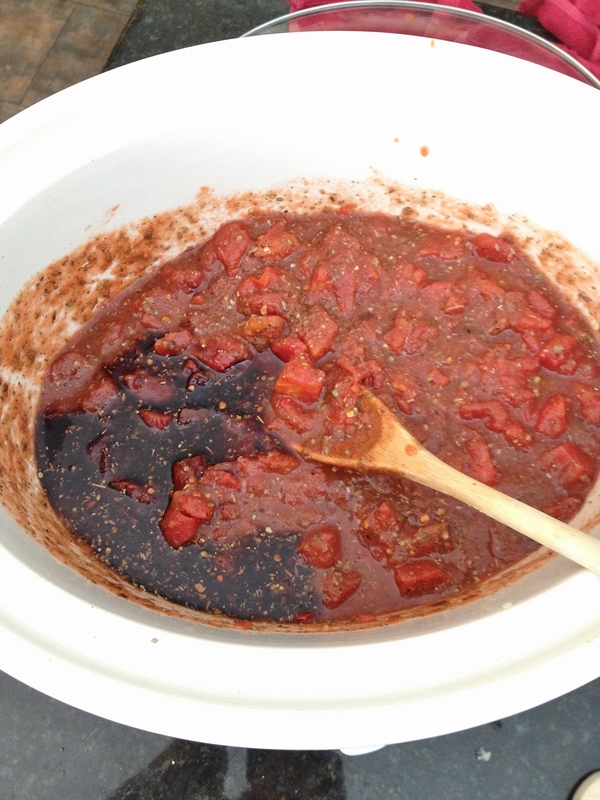 Dump in tomatoes, 1/2 box stock, minced garlic, spices, and vinegar into crockpot and mix. Put lid back on while cutting all veggies. 3. 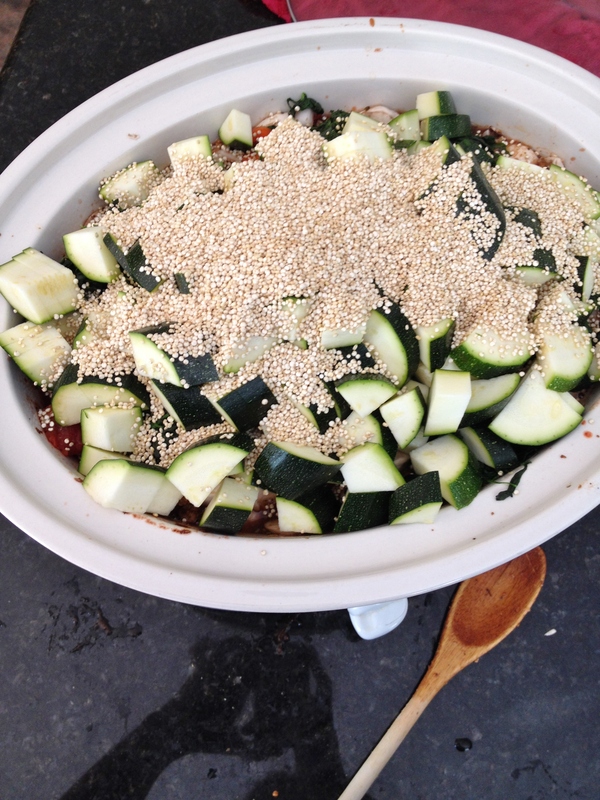 Slice all veggies and dump in as you chop them with the beef-free crumbles, defrosted spinach and quinoa. 4. Stir everything then put the lid on. 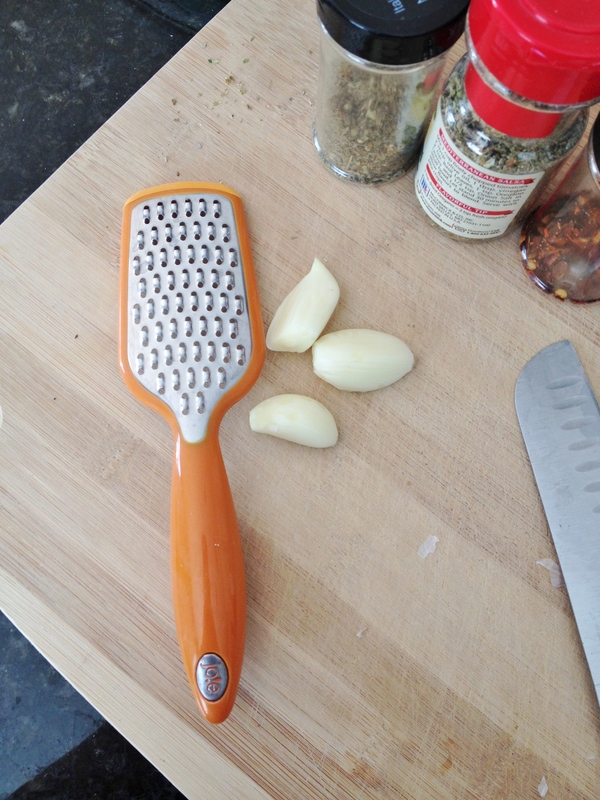 Stir occasionally until soup is done.